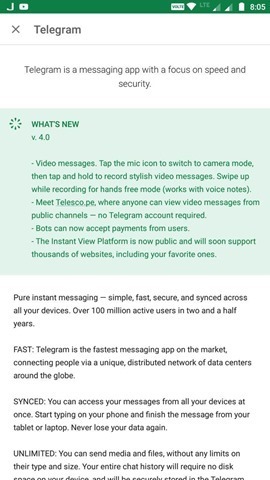 Telegram, our favorite instant messaging application,has been updated to version 4.0, and it brings a slew of new features. First up is video messages. 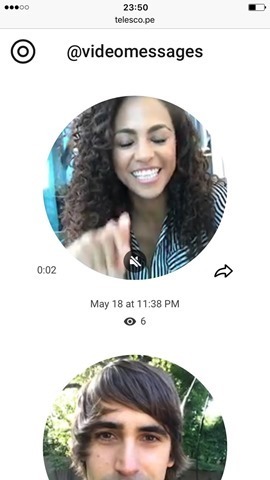 You can now send video messages instead of voice messages, if you want to. To do that, tap the mic icon on any chat and switch to camera mode. Then tap and hold the camera icon, to record a video message, and let go of the button to send your message. Or just swipe up to lock the recording mode, and then send the message. Telegram compresses the video messages and sends them while you are recording them, so it is sent to your contact almost instantly. The contact who receives your message will see the video message downloaded and played automatically, though this option can be disabled from the settings. Next is Telescope, which is a public channel system on Telegram, where people can post video messages, so their audience can view it. URLs for videos posted on the channels will have a telesco.pe link., and viewers don’t need a Telegram account to view videos posted on telesco.pe. Videos posted It is available publicly, and can share them on Twitter or Facebook. 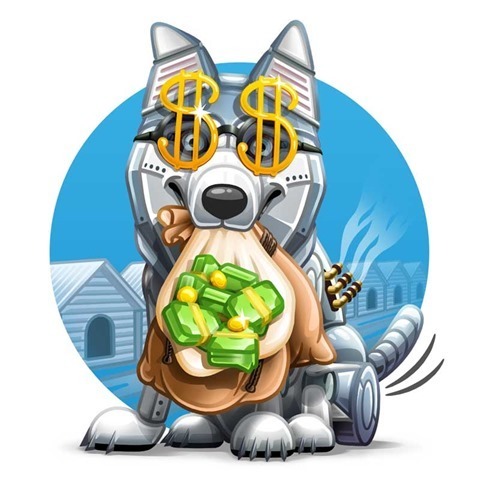 The third new feature, is Payment, which as the name suggest can be used for shopping and paying for services. This system will be available via bots, and are handled by Stripe (a payment gateway). For India however, the payments will be handled by RazorPay, which supports all major debit and credit cards, 50+ netbanking banks and popular wallets. Nigeria, Kenya, Ghana, South Africa, and Uganda will use the FlutterWave system, Yandex.Money and Qiwi for Russia and Payme for Uzbekistan, while PaymentWall will be the payment handler in over 190 other countries.Apple Pay is supported by Telegram Payment bots. So when a bot is available, and you want to order goods or services from it, tap the Pay button, fill in your payment and shipping information to confirm and you are good to go. 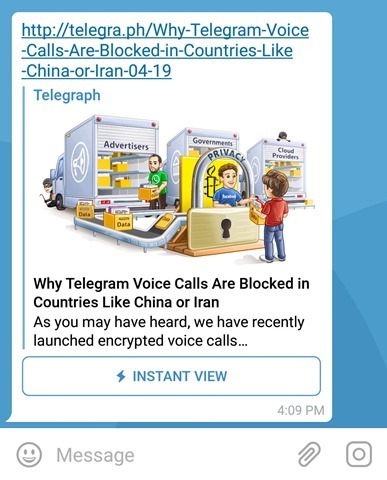 This is similar to Google AMP in that you can read articles from any blog or news site, with its text, images and videos instantly within Telegram. The websites will scale properly to the display of the device you are on, even if the website isn't actually mobile friendly. Download Telegram 4.0 for Android and iOS to get the new features. Windows 10 Anniversary Update released. And w ake a look at its most important changes.